Peyton Baby Doll, From the moment your baby takes her first breath, you know that she’s yours forever and she is so precious, so perfect in every which way. Now, award-winning renowned doll artist Mayra Garza has captured the precious innocence of a brand-new baby girl with the Peyton Baby Doll, a celebration of the special bond between a mother and her daughter that begins right at birth, exclusively from The Ashton-Drake Galleries. 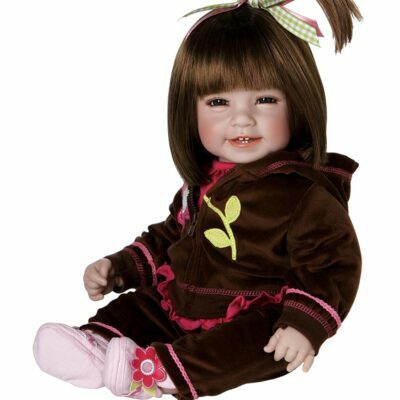 This realistic So Truly Real® baby doll is 17 inches long and poseable, handcrafted of soft RealTouch® vinyl, and weighted to feel just like a real baby when you cradle her in your arms. 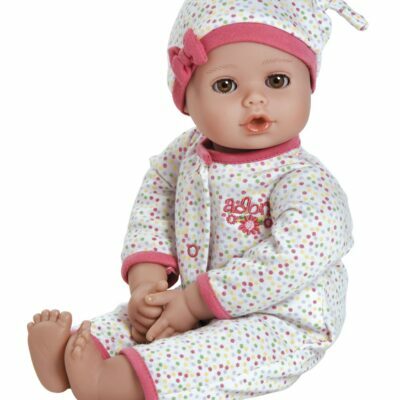 Plus, this sweet baby girl doll is adorably dressed in a cozy mint green sleeper and cap that bring out her bright blue eyes gazing with curiosity.